2015 : Graduation from Department of Music Technology and Acoustics Engineering, School of Applied Sciences (Rethymnon), Technological & Educational Institute of Crete graduate, with the grade of 7.3 "very good" [http://www.teicrete.gr/mta/en/]. My studies included the following scientific and technological fields: a) application of modern technologies to the recording, analysis, composition, production and management of audio and music information , b) the science and technology of acoustics and c) In depth Audio and Music Programming and DSP. I completed my dissertation on a topic of my choice in order to specialize and get experience in the field of sound design for video games and interactive applications. I aimed at an in-depth study and better knowledge of programs like Αudio Pipeline, more specifically Wwise. The exact subject of my dissertation was: ‘’Sound Design and Music Composition for Limbo Video Game‘’. • Composer and musician. I play the piano, synthesizers and guitar. • Great music Production, Mixing and Mastering skills of all kinds of up to date music genres. 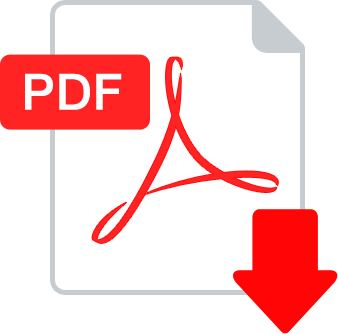 • Great computer skills, absolutely able to work both in Windows and Mac environments. • High level of English and English terminology of the field. 2016 : Real time sound and video performance with Ableton for the Theatrical Play 'The Bridge' . Sounds were designed for this project and were played with photographs and videos to consist the background scenery and soundtrack of the play. 2016 : Successful participation in an open contest for the composition of a sound audio-branding, was in the top 10 creations among 207 participations in total. 2015 : Sound Design and field recording in the greek Documentary film "My friend Larry Gus". This film was included also in Los Angeles Greek Film Festival. This project took place while i was working in oxyzed studio's post production. 2014-2015 : As a producer Endov Lane preserves an open collaboration with Panik Records based in Greece. Panik is a label whose artists often are the ones chosen to represent Greece in Eurovision Festival. Also, it's the home label for worldwide famous artists, as Dimitri Vegas & Like Mike. [http://www.panikrecords.gr/]. 2013 : Music composition for a video clip produced under the auspices of MASA (Mongolian American Student Association), in collaboration with Mashbat Brothers Films based in Chicago [https://www.youtube.com/watch?v=242HRCEcKYk]. 2013 : Won the Audiocraft Music & Sound Digital Store contest [https://soundcloud.com/endov-lane/create-what-you-destroy]. 2012 : Sound Design Projects for contests, for the company Audiocraft & Juplix [http://vimeo.com/111244695 & http://vimeo.com/111244517]. 2009 : Composition & production of electronic music from Incus Malleus side-project, for an underwater diving documentary released by Vythos Magazine [http://varveris.gr/vythos]. 2008-2014 : Participated three times in the event “Electroacoustic Music Days” with stereo tape (in 2008, 2011 and 2014) [http://www.teicrete.gr/mta/cml/meres08/el/schedule.html]. The event is organized under the auspices of the Hellenic Electroacoustic Music Composers Association [HELMCA http://www.essim.gr/], the International Confederation of Electroacoustic Music [ICEM http://www.cime-icem.net/] and Sonic Arts Research Center [SARC http://www.sarc.qub.ac.uk/]. 2015 : I 've done my internship in the post-production studio ‘’OXYZED’’, one of the most renowned and successful companies in Greece, in the fields of sound design and music production for advertisements. Mainly worked on voice over recordings and sound programming, but also with the creation of original sound fx and scripting using Native Instruments’ “Kontakt” software. 2013-2015: Collaboration with Abzorba as a Sound Designer and theme Composer. The company specializes in video games for mobile phones (iOS and Android). Abzorba has released 7 games with more than 5 million users worldwide and its titles have been awarded as the most popular in the field of gambling games [http://www.abzorbagames.com/]. (I was responsible for the composition, production of this piece of music in collaboration with Dj Pitsi. Josephine is a rising artist of the Greek mainstream music industry, among the 4 artists suggested to represent Greece in Eurovision in 2014). This piece of music got a distinction at the MAD Video Music Awards (video music awards organized by TV channel MAD TV, based exclusively on audience voting) and was in the top 5 and most popular 2015 hits in the Dance category. (I was assigned the music supervision, final mixing and mastering of this production). Produced, mixed and mastered by Endov Lane. "Flamenco Diablo" track was supported by the well known Dj Wally Lopez (420 in Djs rank worldwide). 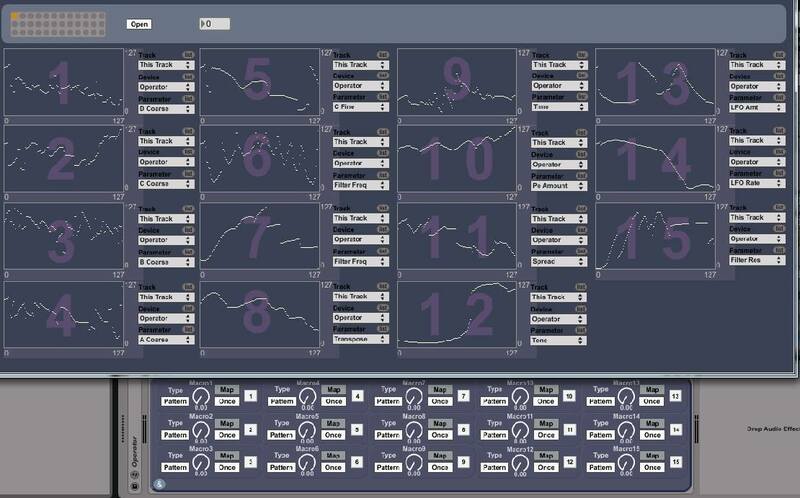 Wavetable Designer has been created with the mathematical functions of Max Msp. It can export wavetables in wav. format of 2048 samples quality and also to .h2p for U-he's Zebra Vsti scripting format. The user can change the amplitude of fourier bins and the phase of each in realtime. Also frequency modulation, window functions and quantic noise can also be applied to the table. Knob Morpher is an "Knob to-rule-them-all" kind of midi device for MaxforLive environment. It has the abbility to map 15 different midi parameters and to change the linear behavior that master knob controls them, with a table that the user can draw. As a device it behaves like a preset morpher or preset generator, and it is interesting when it is mapped on an FM synthesizer in order to minimize the "distance" between User and User-Interface, besides the fact that FM synthesis is an unpredictable synthesis technique. Also with the ability to automate the master knob of this midi device, you can create some never heard before sounds. 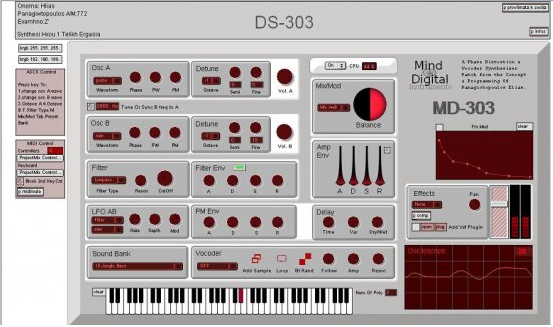 DS-303 is a Polyphonic Synth implimented in Max Msp., including 2 Osc's, Filter, 2 Lfos and a Vocoder Effect Device. 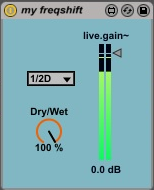 Frequency Shifter maxforlive effect device that can be synced to host tempo. 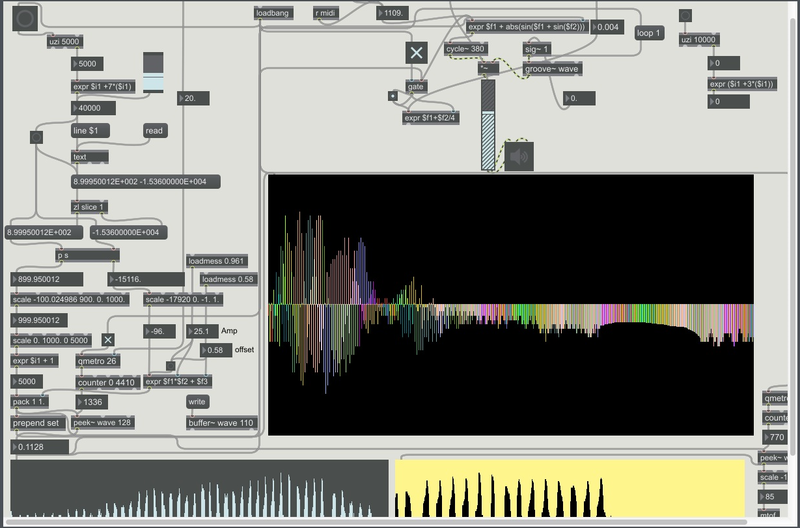 Sonification patch implimented in Max Msp. Rearrangment of numerical data to audio (received from txt files which include numeric tables). This patch convert the numeric data to voltage signals, lfos and generative midi music (chromatic or diatonic).